‘A carved house standing inside a fortified pā is the mark of a chief’ – This proverbial response uttered by local Ngāti Maru chief, Taharākau encapsulates the essence of our taonga Māori collection housed and cared for here in our Museum for the future benefit of all and continues to connect people to their cultural heritage. 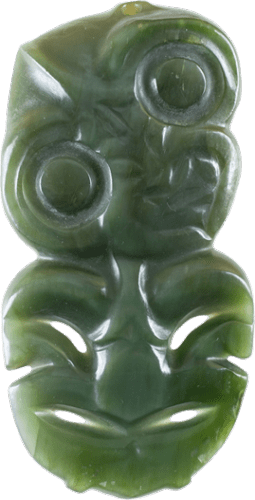 The foundation of our taonga Māori collection consist of the W.D. Lysnar Collection, part of the Black Collection, the H.C. Anderson Collection and others. The collection includes significant loans and acquisitions from whānau, hapū, iwi, community leaders, individuals and groups. Our taonga Māori collection continues to evolve and develop, contributing to the cultural renaissance and strengthening our regional history. The museum displays works from the taonga collection in semi-permanent and short term exhibitions. 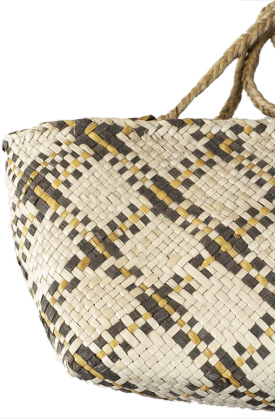 *If you find a Taonga Tūturu (an object which relates to Māori history, culture or society and is more than 50 years old) please bring it to the museum so that we can notify the Ministry for Culture and Heritage. Taonga Tūturu are one of 9 categories of protected objects defined in the Protected Objects Act. For collection research, access and advice please contact the Museum Kaitieki Māori. Please note that staff are not always available immediately and it is advisable to make arrangements as far in advance as possible, particularly if you are only visiting Gisborne for a short period.